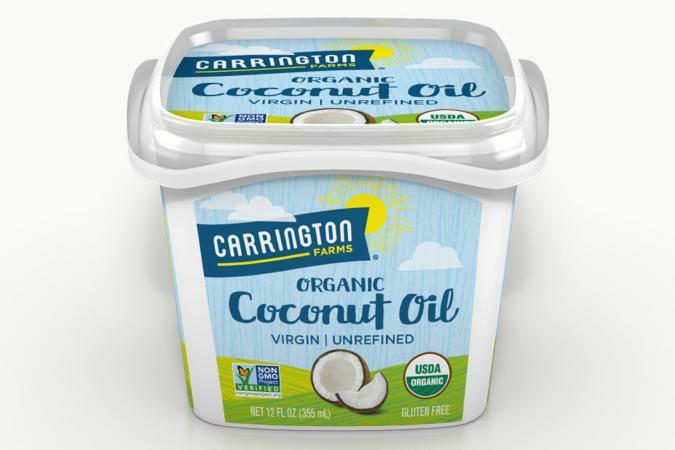 If you want to enjoy the health benefits of coconut oil, you'll be happy to learn that Carrington Farms offers a wide variety of options for all of your cooking needs. The company provided me with three items from their coconut oil line for free to check out for review purposes, and I am happy to share my impressions with you. My experience with all three of the Carrington Farms coconut oil items that I tried was very positive. I would definitely purchase them again. Unrefined Organic Virgin Coconut Oil: This type is ideal for dairy-free candy recipes appropriate for low-carb and other diets. For example, you can use it to make delicious recipes like coconut oil peanut butter chocolate melting moments or coconut oil fudge. Yum! Coconut Oil Cooking Spray: If you are a fan of traditional cooking sprays, you'll be happy to learn that this coconut oil product is just as simple to use. It has no calories and provides a simple way to make sure your stovetop recipes and baked goods and don't stick to your pots or pans. Use it in any situation where you would use a non-stick spray. 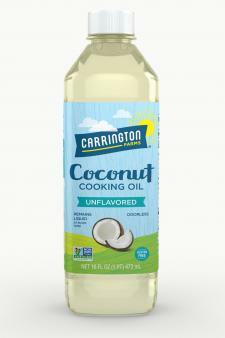 Carrington Farms offers several additional coconut oil items. I am looking forward to trying their coconut & olive oil cooking oil blend in the near future. They also offer a coconut & avocado blend cooking oil, and varieties enhanced with garlic flavor and rosemary flavor. Additional options include a premium liquid coconut oil and a coconut oil & ghee blend (in a tub). If you are a fan of coconut oil, they have just about any option you might need!